Design Professionals do not always have the time available to develop the finer design details for a project. That is where ASST comes in. Our in-house team of fabrication wizards and sculptors, project planners, programmers and managers will help you with the development of technical details, creating innovative fabrication solutions when necessary and even prepare mockups for final approval. We see Design Professionals, General Contractors and Millworkers as our collaborative partners in the process of delivering a successfully completed project to the Owner. Thermoforming is a manufacturing process where sheets of solid surface or translucent resins are heated to a pliable forming temperature, formed to a specific shape in a mold, and trimmed to create a usable product. The sheet is heated in an oven to a high-enough temperature that it can be stretched into or onto a mold and cooled to a finished shape. ASST is a world-wide leader in the development of processes to create unique complex fabrications with solid surface and resins for the high-end commercial construction market. We leverage our patented SCULPTCOR® thermoforming process and other proprietary methods by Going Beyond™ to provide the efficient project support you need. CNC machining is a process that involves the use of computers to control machine tools. The CNC in CNC Machining stands for Computer Numerical Control. With two 3-Axis CNC machines and one 5-Axis CNC machine in our shop, ASST’s Programming Technicians have the knowledge and leading edge technology to get your project efficiently completed. 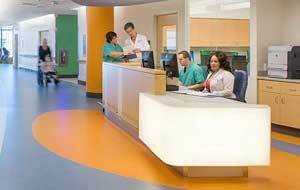 We specialize in providing full CSI Division 6 Millwork and Division 12 Casework packages with a focus on Health Care. In addition, we also can provide these services for Corporate/Public Spaces, Educational institutions and Retail projects. ASST can provide a turnkey solution for your project coordinating a variety of materials from solid surface to translucent resins, woods, plastic laminates, metals, glass and more. We leverage our industry connections with a variety of trusted millwork and artisan shops to provide competitive pricing and quality end results that will make you look good. 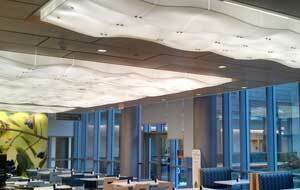 ASST has in place a team of in-house installers as well as a national network of trusted installer subcontractors. 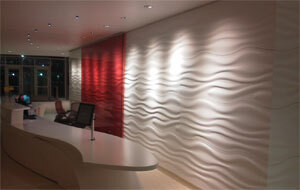 Our teams are familiar with solid surface and resin materials and their specific fabrication requirements. Our Project Managers will continue to be involved in this final critical step to assure your project is completed according to spec. Every project going through our shop is coordinated and attended to by our experienced project managers and project planners. ASST reviews your project in detail, delving into the technical aspects and creating shop drawings for approval prior to fabrication. Our Project Managers are even familiar with LEED® points and can assist with tracking for certification purposes if desired.